The education system in UK is quite flexible, which allows you to choose a study program that suits your interest, lifestyle and career choices. Universities and Institutions here would offer you world-class teaching and prepare you for the global workplace. Here are some reasons Indian students should consider for studying in UK. UK universities are known around the globe for their high quality and world class education. Their standard of excellence has been set by some of the oldest Universities like Oxford and Cambridge. UK universities are inspected regularly to ensure that they hold the high standards of learning, teaching and research set by the Government. The Quality Assurance Agency (QAA) for higher education is the key body assigned to maintaining these standards. Many Indian students gain work experience along with their study in UK. A part-time job or internship is a best way to add some valuable skills to your CV. International students are allowed to work for 20 hours during the term and full time during the holidays. England is one of the countries which have an institutionalized, national health care system, which will reduce your overall health care costs. International students are eligible to receive free medical treatments by the National Health Service (NHS) if enrolled in a full-time course. The courses offered by UK institutions are shorter in duration than anywhere in the world, which means you graduate faster than elsewhere. The Undergraduate courses are of three year duration while the Post Graduate programs are of one year only. Also, UK institutions are ranked across the globe for their research quality which accounts for around five percent of world's scientific research. It will be fascinating for you to know that the country puts across 6.4% of global journal articles, 11.6% of citations and 15.9% of the world's most highly-cited articles, even though it constitutes just 0.9% of world's total population. The fields of clinical sciences, health and medical sciences, social sciences, business command strong emphasis in UK research. Choosing UK as your study destination is a great way to improve your English language skills. As a matter of fact, English is called the International Trading Language. In UK, everyday you will get an opportunity to learn, listen to and practice English by having conversations with native speakers. English is a primary language in the business world and it is also essential in Technology, Science and Economics. 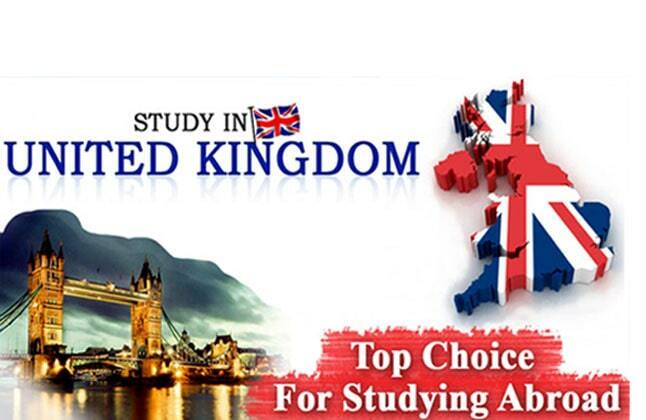 Among the benefits of studying in UK is a wide array of the fields are study and institutions. You can choose from around 150,000 courses at Universities and Institutions across England, Wales, and Northern Ireland. If you opt for a Master's programme, you would find the one-year duration for all Master's programmes a big advantage. You can also combine it with a PhD, which will save an additional one year. It would ultimately help you in reducing the Tuition and accommodation costs. The UK is known for welcoming the largest number of students from diverse cultural backgrounds, which is also visible within universities. The UK has always been open to new traditions and cultures, something that is a great opportunity for students from other countries. Wherever you choose to study in the UK, you will have the opportunity and pleasure to meet people and make friends from all over the world. Thousands of families from around the world have decided to live in England, which gives it a rich, multicultural atmosphere that you cannot find anywhere else in the world. My experience with Edwise was very good, the staff and counselors here are very experience about everything. For complete information of Study Abroad in UK Contact Edwise International- Overseas Education Consultants, on 1-800-200-3678 (Toll Free) / 08600911333.